An enforced, extra-long holiday is the stuff that most tired out employees dream of. But in Japan the prospect of an uninterrupted break to mark the emperor's abdication later this month has been met with a mixture of horror and consternation. Japan will begin the unprecedented holiday on 27 April, days before Emperor Akihito abdicates to make way for his eldest son, Naruhito, whose Reiwa reign will begin on 1 May. The holiday will finally end on 6 May. Last December parliament passed a bill approving the break to celebrate the change in the occupant of the Chrysanthemum throne, which coincides with the traditional "Golden Week" holiday in early May. The travel industry is experiencing a windfall, with bookings for overseas trips - particularly long-haul flights to Europe - already far exceeding those in an average year. But not everyone is happy. Employees on non-regular contracts who are paid by the hour or day are worried about a loss of income, while some parents are fretting over how to keep their young children occupied over the long break. "For parents in the service sector, the 10 days of holiday is a headache. After-school care, nurseries - everything is closed," one anxious parent tweeted. Many people simply have no idea what to do with the extra days off. "To be honest, I don't know how to spend the time when we are suddenly given 10 days of holidays," said Seishu Sato, a 31-year-old finance industry employee. of survey respondents are unhappy about the 10-day break. "If you want to go travelling, it's going to be crowded everywhere and tour costs have surged ... I might end up staying at my parents' place." His doubts were reflected in a poll by the Asahi newspaper in which 45 per cent of respondents said they "felt unhappy" about the long vacation, with 35 per cent saying they "felt happy". The holiday will at least force most employees to stay away from work and avoid the guilt that often accompanies extended periods of leave. Japanese workers take fewer annual paid holidays than their counterparts in comparable countries, according to a survey conducted late last year. The survey, by the online travel agency Expedia Japan, found that Japanese took the shortest annual holidays among workers in 19 countries and regions, with a typical employee taking only 10 days off - half their annual allowance - according to the Nikkei business paper. Almost 60 per cent said they felt guilty about using paid leave, with many citing disapproving bosses. 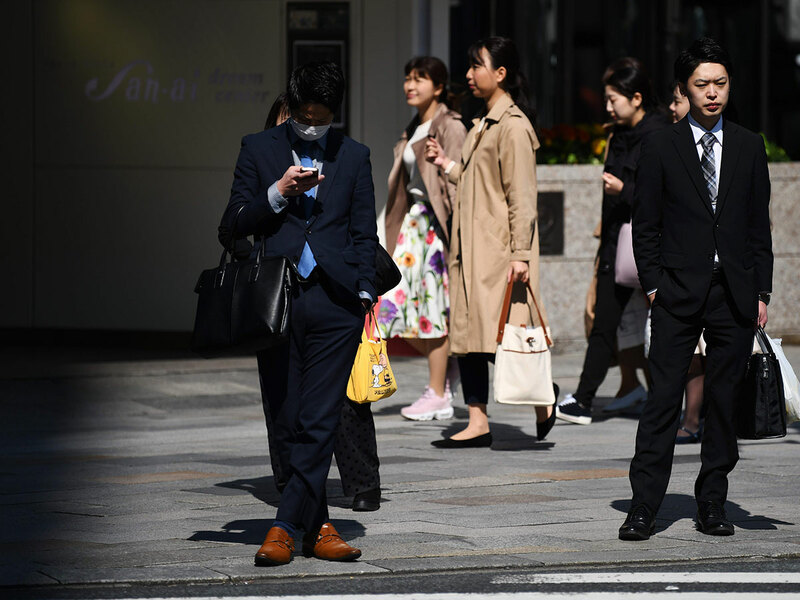 On Monday, Japan passed new laws setting a legal cap on long work hours following a rise in cases of karoshi - or death through overwork. It also revised immigration laws to open the door to up to 340,000 blue-collar workers from overseas over the next five years, in an attempt to tackle a severe labour shortage.